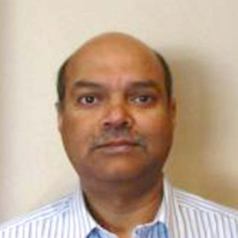 As a member of the Core Informatics team at JCVI since 2004, Pratap Venepally provided data processing and analysis support to various research projects involving both prokaryotic and eukaryotic organisms. Most significant contributions have been in the areas of analyses pertaining to transcriptomics, sequence assembly, genotyping and SNP identification and proteomics. He is very experienced in areas of computer programming (Perl, Python, Unix & SQL), data analysis using R programming, various sequence analysis tools, NextGen sequencing software and platforms. Additionally, he has a strong Biological research background with a PhD in Molecular Biology and active contributions to several published research articles. Nature protocols. 2016-03-01; 11.3: 499-524. PRODUCTION OF A PRELIMINARY QUALITY CONTROL PIPELINE FOR SINGLE NUCLEI RNA-SEQ AND ITS APPLICATION IN THE ANALYSIS OF CELL TYPE DIVERSITY OF POST-MORTEM HUMAN BRAIN NEOCORTEX. Pacific Symposium on Biocomputing. Pacific Symposium on Biocomputing. 2016-01-01; 22.564-575. PLoS pathogens. 2015-04-24; 11.4: e1004834. PGP: parallel prokaryotic proteogenomics pipeline for MPI clusters, high-throughput batch clusters and multicore workstations. Bioinformatics (Oxford, England). 2014-05-15; 30.10: 1469-70. Proceedings of the National Academy of Sciences of the United States of America. 2013-12-03; 110.49: 19802-7. Experimental annotation of post-translational features and translated coding regions in the pathogen Salmonella Typhimurium. Monitoring the long-term molecular epidemiology of the pneumococcus and detection of potential 'vaccine escape' strains. PloS one. 2011-01-10; 6.1: e15950. A bioinformatic filter for improved base-call accuracy and polymorphism detection using the Affymetrix GeneChip whole-genome resequencing platform. Nucleic acids research. 2007-01-01; 35.Database issue: e148.